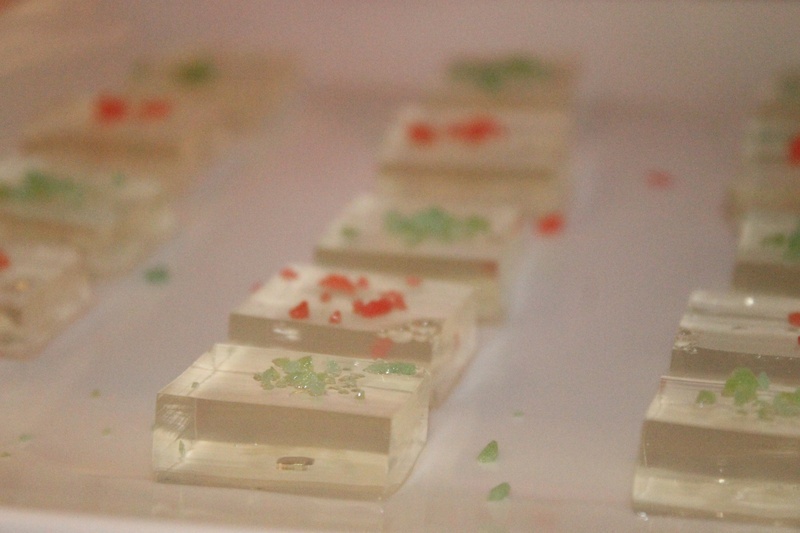 Pop Rocks Champagne Jello Shots - Shimmy Shimmy Cake! Ooh, I'm going to try these - but using cups instead of slicing them into squares. They look great! How many servings did this recipe make? [It would make between 20-25 servings using the typical jello shot container. I made these for a holiday party earlier this month and they were a huge hit! I'll be making them again tonight for New Year's Eve. Thanks for the recipe. 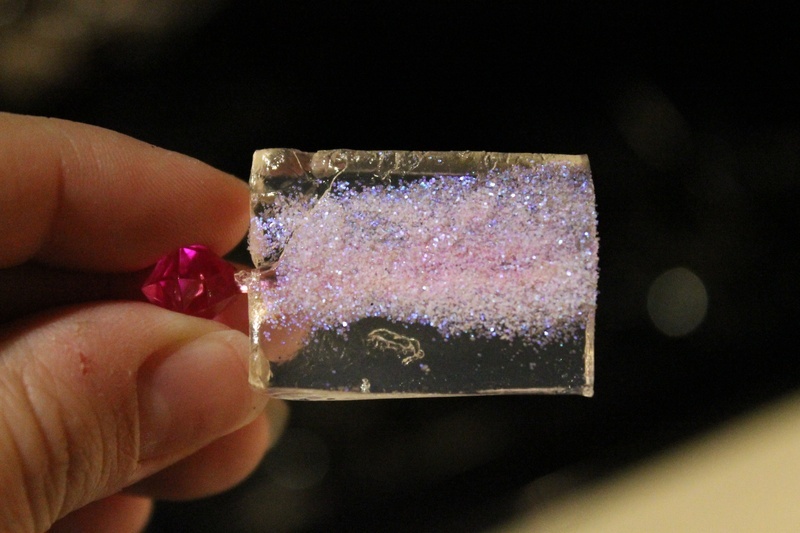 I got the edible glitter from a cake decorating store. I'm sorry I don't know the brand but they call it "disco dust" or "twinkle dust". You can also use some of the Wilton brand edible glitters. Sprinkle just before serving or they will melt away into the jello. I also share your compassion for jello shots. i was just wondering what I could substitute for the whipped vodka? Regular Vodka, Schnapps, orange liquor, pretty much any clear liquor would work well. Here's another tip - use an extra envelope of gelatin if you want them to hold their shape better. It makes them easier to pick up. Happy New Years!! 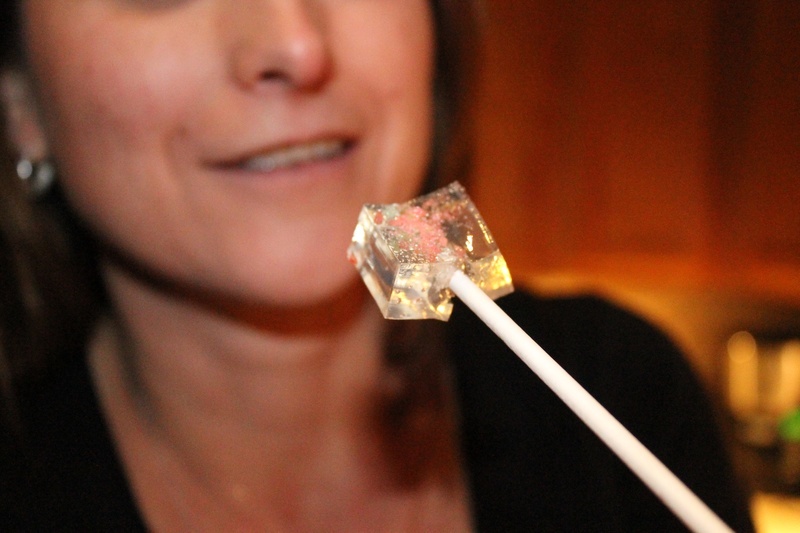 Do the pop rocks actually pop in your mouth or does the moisture from the jello prevent that? I'm totally making these for a party I'm throwing! Do you think I could use cookie cutters to make them into specific shapes? The pop rocks start popping when you sprinkle onto the jello. So plate, sprinkle and serve immediately. I've learn several excellent stuff here. Certainly price bookmarking for revisiting. I wonder how so much effort you place to make this kind of magnificent informative website.